What does a warming world mean for New Zealand? Will we fry and starve, or bask and thrive? Using the latest evidence from the Intergovernmental Panel On Climate Change’s Fourth Assessment Report, Gareth Renowden puts climate change into its New Zealand context. He examines how the science suggests NZ’s climate will change, what current and future governments can do to address the problem, and how individuals and businesses can respond to the challenge. 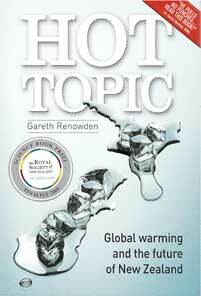 Published in 2007, Hot Topic was shortlisted for the Royal Society of New Zealand’s first science book prize. You can purchase the paperback edition of Hot Topic direct from Limestone Hills for NZ$25 including GST and shipping inside New Zealand. Overseas airmail shipping costs $15. Please select the option you want from the menu. If you’d like Gareth to sign your book with a special message, please enter it on the order form. 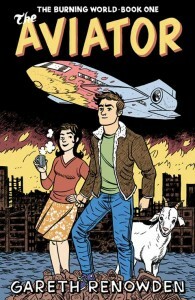 A PDF edition of Hot Topic is also available for download, priced at NZ$5. We accept all major credit cards, with payments handled by PayPal on their secure servers. Paper books will be shipped as soon as possible. 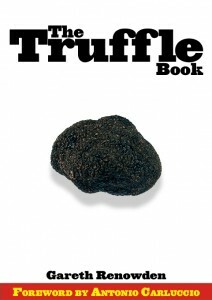 Purchasers of downloads will be emailed a link to obtain their book.